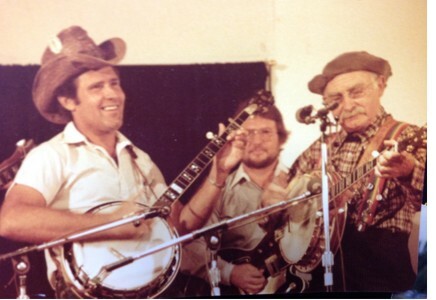 Folk musician James Watson, 81, of Roanoke, Ala., died June 1, 2017 at his home from pulmonary heart disease and complications of type II diabetes, according to a family representative. Watson, a clawhammer banjo stylist, appeared multiple times at America's National Folk Festival, National Black Arts Festival, 1982 World's Fair, 1996 Olympics, colleges, numerous bluegrass festivals and folk festivals. He was often seen on PBS in shows such as "Tonight at Ferlinghettis" and the Alan Lomax production "The Appalachian Journey." 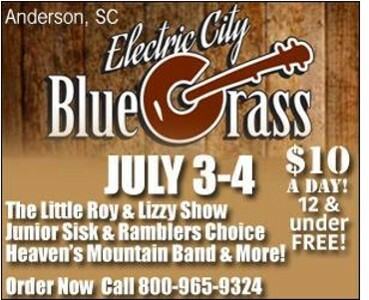 Anderson, SC -- Six months after its debut of a “Positively Bluegrass” format on WRIX 1020 AM and 104.7 FM, Electric City Broadcasting has scheduled its first live Bluegrass concert at the William A. Floyd Amphitheater in Anderson, SC. 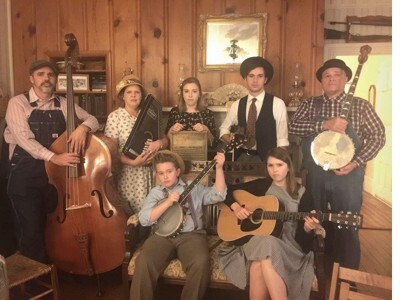 Hiltons, VA -- Saturday, June 3rd, 2017, at 7:30 p.m., the Carter Family Fold in Hiltons, Virginia, will present a concert of old time music by Larry Sigmon and Martha Spencer – the Unique Sound of the Mountains. If you ever saw Larry Sigmon and the Unique Sound of the Mountains, you know the sound was unlike anything you ever heard before. 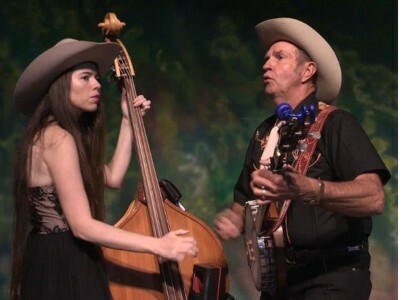 Over the course of more than ten albums and several years of performing, Larry Sigmon and his late partner Barbara Poole continuously brought the house down with a variety of fast-paced mountain music tunes fueled by Sigmon's high-speed claw hammer banjo picking and Poole's infectious "heartbeat" bass plucking. While there were several groups out there that could get you onto the dance floor, no old time band could wear out your clogging shoes faster than the Unique Sound of the Mountains. 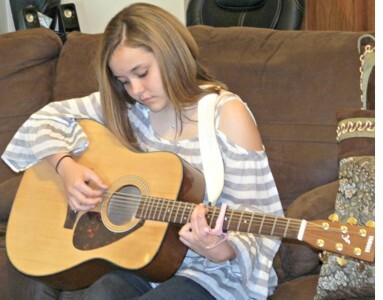 12 Year Old Mikaya Taylor continues to impress and this young age. 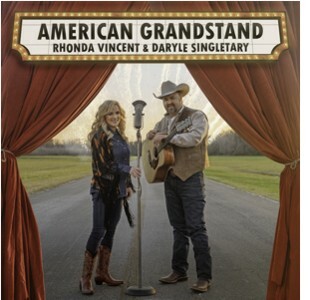 She recorded her first CD at 10 and it made it across the country with your airplay. 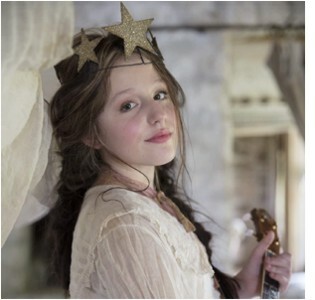 She now has recorded her first original single about her personal life story. This is my first original single release about my personal life story. 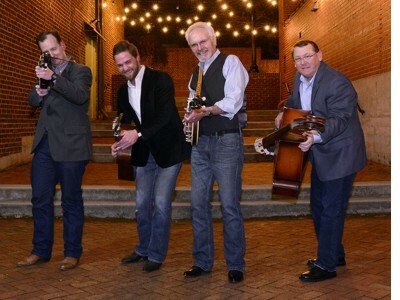 With the recent success of the title track to their recording on the John Boy & Billy label, 4th & Goal, Terry Baucom’s Dukes of Drive become the first-ever Bluegrass band booked during Canton, Ohio’s Annual Pro Football Hall of Fame Enshrinement Festival, to celebrate the new Hall of Fame inductees for 2017: Morten Andersen, Terrell Davis, Kenny Easley, Jerry Jones, Jason Taylor, Ladainian Tomlinson, and Kurt Warner. 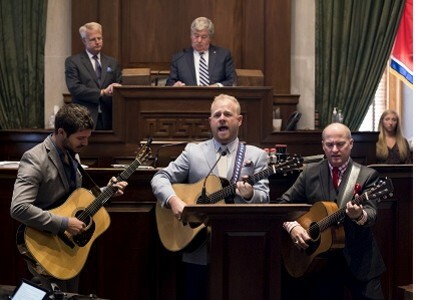 The Owsley Stanley Foundation is pleased to announce the release of Doc & Merle Watson: Never the Same Way Once – Live at the Boarding House – May “A legend recording a legend,” is how Doc Watson’s long-time bassist T. Michael Coleman describes these rare live recordings of the American bluegrass giant by counter-culture icon and concert sound pioneer Owsley Stanley (known as Bear to his family and friends). 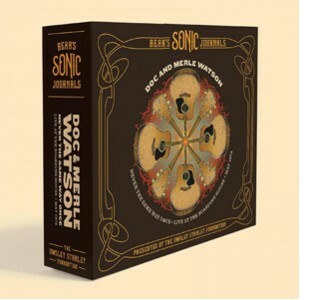 Doc & Merle Watson: Never the Same Way Once – Live at the Boarding House – May 1974 is kind of a long name for an album but, this isn't an ordinary album and, the material is a long list of tracks -- 7 CDs worth. 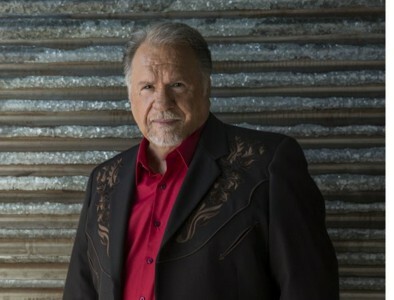 Milan, MI (May 18, 2017)—Known as one of Bluegrass music's most popular and long-running events, the Milan Bluegrass Festival has added country music legend Gene Watson to this year's lineup of talent commemorating their 20th Anniversary under the leadership of Mark Gaynier. Uncle Dave Macon Days Heritage Award recepient is Russell Moore. 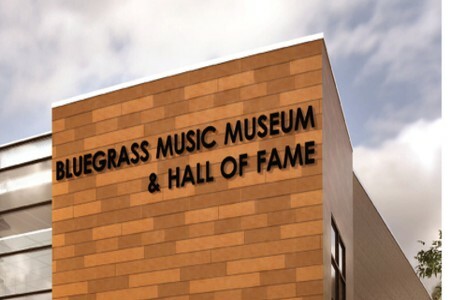 The Uncle Dave Macon Days Heritage Award recognizes and honors individuals who have dedicated their careers and life perpetuating, preserving and promoting old-time music and dance. 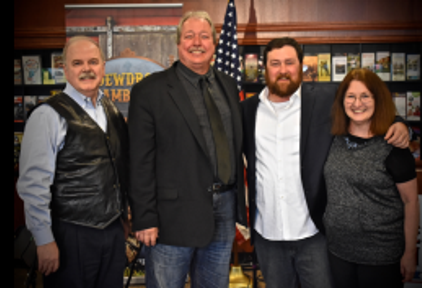 Moore joins the ranks of many of his peers including Doyle Lawson, Dailey & Vinent, Jesse McReynolds, Rhonda Vincent, Marty Stuart LeRoy Troy, and many more. 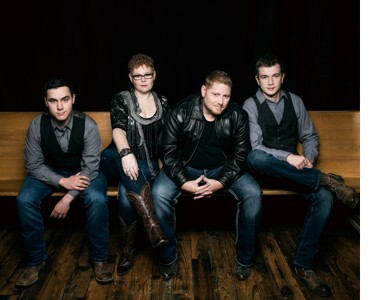 Nashville, TN -- The International Bluegrass Music Association (IBMA) has announced their first round of artists to be performing at the Wide Open Main Stage during their World of Bluegrass trade show's weekend festival. 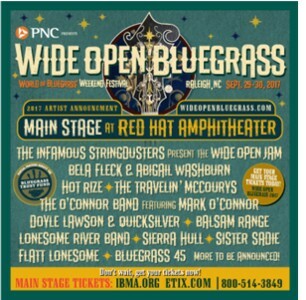 World of Bluegrass will take place place September 26-28 and the Wide Open Bluegrass Festival immediately follows on September 29-30 weekend.